Recent Study of NALED and USAID ranked the privatization of the mine Rudnik in the five best in Serbia. It was previously selected by the Agency for privatization and other relevant authorities as one of the most successful. The Agency for bankruptcy of the Republic of Serbia outlined the Veliki Majdan mine at Ljubovija as an example of successful takeover and further management of the company. It’s been a few years now that in the area of Bosilegrad municipality, Mineco Grupa with partners has been conducting exploration mining works within Bosil-Metal lead and zinc mine. Since 2010, when explorations have started until today, sufficient ore reserves to start mine have been confirmed. Bosil-Metal currently employs 73 people and if the mine is prepared for exploitation, employment of 250 to 300 people is planned, mainly local population. Large investments are underway, as well as development of the main mining project and along with it, mining facilities construction. If everything runs smoothly, with an additional investment of some EUR 15 m, Mineco and partners will open the mine in the next three or four years. In the mining field, Mineco Ltd, a member of Mineco Group, individually or with partners has been managing mines in Serbia – Veliki Majdan at Ljubovija and the Mine at Gornji Milanovac, operating with exploitation and processing of lead and zinc ore and Bosil-Metalom at Bosilegrad, and in Bosnia and Herzegovina with the mine of lead and zinc Sase in Srebrenica, while lead mine in Olovo has been in preparation and exploration works on findings of antimony in Novo Gorazde has been in progress. 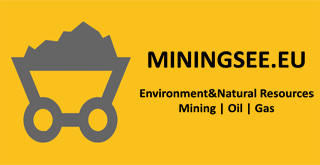 Mineco Ltd is a part of the Mineco Group which operates in investing and development of mines of leed, zinc, copper in the SEE countries, countries of former Soviet Union. Since its set up in 2003 until today, together with its partners, Mineco has been operating successfully in five continents: Europe (Great Britain, Switzerland, Netherlands, Russia, Macedonia, Bosnia, Serbia, Cyprus), Asia (Turkey and Asian countries of former Soviet Union), Africa (Zambia) and north and south America (Canada, Peru, Chile) and they are planning to expand to Australia as well. Apart from mining, since 2011, Mineco has been dealing with investing in the renewable energy sources field in the Balkans and construction of mini hydro power plants and this year, it generated significant business results in that field. At the Second public call of the Ministry of mining and energy, Mineco got four locations for development and construction of mini hydro power plants in Valjevo, Dimitrovgrad and Paracin. The tripartite Memorandum of understanding between the Ministry, representatives of local slef-governnaces and investors, whose signing is underway, comprises also implementation of the project of mini hydro power plants construction in the areas mentioned. The investment of Mineco Ltd for the construction of these mini hydro power plants is estimated at EUR 3,3 m, and development of detailed plans and final decision whether and which location will be developed is yet to be made. In the Republic of Srpska, at the Public call of the Ministry of industry, mining and energy of the Republic of Srpska, Mineco got concession for construction and usage of a mini hydro power plant at the Drinjaca river at the territory of Zvornik municipality. The contract on concession, whose signing is underway, implies the construction of a mini hydro power plant Medos, with estimated installed power of 3, 97 MW and estimated annual production of 13,5 GHw. The concession period defined in the contract is up to 50 years and estimated investment value totals EUR 10 m.